The U.S. space agency said Monday its space explorer OSIRIS-REx has arrived above the asteroid Bennu for a mission to provide fresh insights into the origin of life following a 2 billion-kilometer journey from Earth. The spacecraft is set to begin a preliminary survey before touching down on the asteroid to collect rock samples and bring them back to Earth in September 2023. Bennu, a diamond-shaped asteroid with 500-meter diameter, is believed to contain organics necessary to form life and retain materials from the beginning of the solar system 4.6 billion years ago. The probe is expected to boost understanding about the formation of the solar system and how life began. The U.S. team will team up with Japanese researchers and exchange samples with those to be brought back from the Ryugu asteroid by Japan's space probe Hayabusa2, which is due to return to Earth at the end of 2020. "Initial data from the approach phase show this object to have exceptional scientific value. 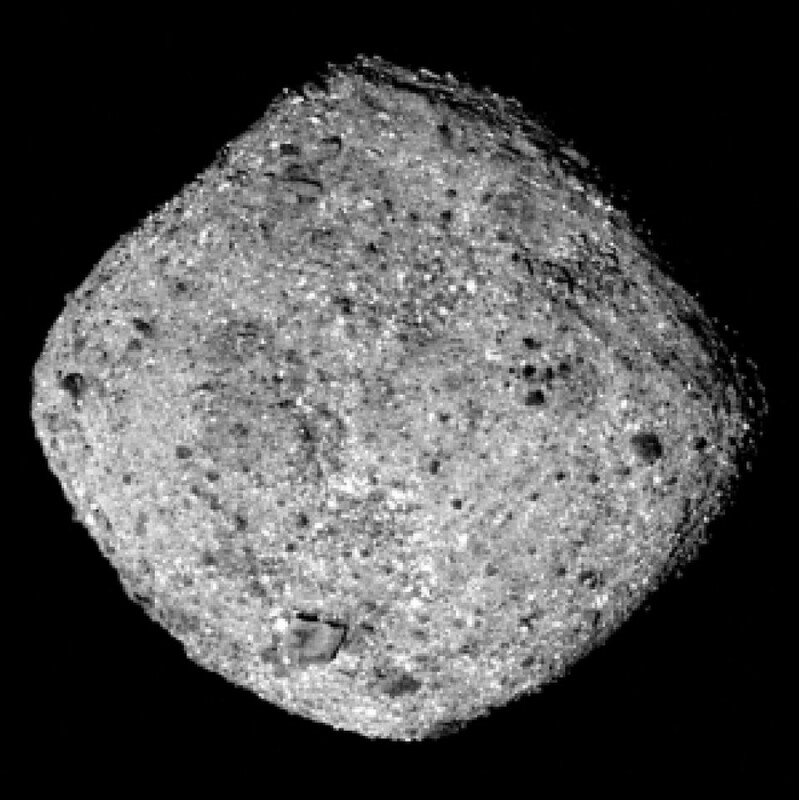 We can't wait to start our exploration of Bennu in earnest," said Dante Lauretta, OSIRIS-REx's principal investigator at the University of Arizona. Since its launch in September 2016, the spacecraft has gradually approached Bennu by traveling around the Sun. Now about 19 km from the asteroid, OSIRIS-REx will begin to orbit Bennu at the end of this month at about 1.25 km from the surface. During a survey lasting one and a half years, the explorer will touch down on the surface up to three times to retrieve rocks totaling about 2 kilograms. NASA returned particles from a comet in 2006 but it will be the first U.S. mission to carry samples from an asteroid back to Earth. The explorer will retrieve samples using its arm mechanism, which will shoot nitrogen gas for five seconds to stir up and lift rock particles on the surface. The amount of samples will be the largest since the Apollo missions between 1969 and 1972 that brought back 382 kilograms of moon rock, pebble and stone samples. Bennu is passing near the orbits of Earth and Mars. It is located about 122 million km from Earth. 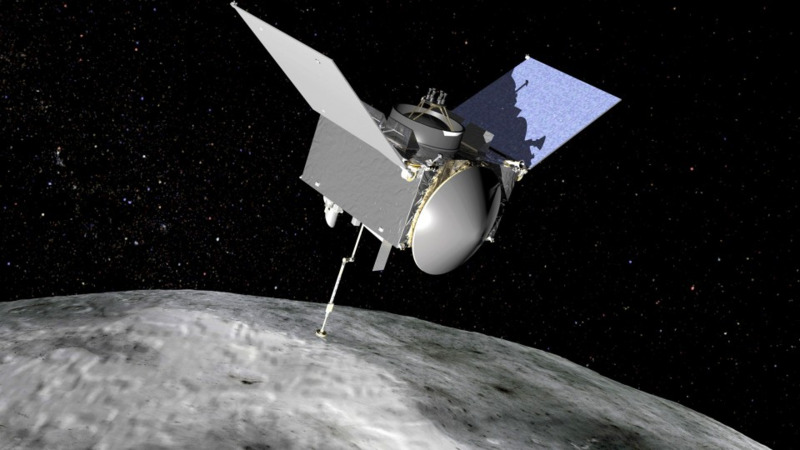 OSIRIS-REx will try to land on the asteroid after the summer of 2020, while Hayabusa2 is expected to touch down on Ryugu after January 2019.